Dr. Peters has over 27 years of psychotherapy experience. First, as a licensed Marriage Family Child Counselor, a license Dr. Peters still holds, and as a Licensed Clinical Psychologist. Dr. Peters has a rich and diverse professional background. He started out working in a psychiatric hospital where he started to develop therapeutic skills that included a balance of empathy and directness. Dr. Peters continually developed his own balance of empathy and directness that became valuable characteristics in his therapeutic approach. Empathy led individuals to feel safe and supported, leading to more openness and exploration, while honest directness led to the uncovering and eventual resolution of emotional blocks that impeded further fulfillment and life satisfaction. Dr. Peters found the practice of psychotherapy to be fulfilling and rewarding, the rewards came from watching individuals gain deeper satisfaction and personal meaning from the process of psychotherapy. In the pursuit of his own professional and personal development, Dr. Peters obtained his Masters Degree in Marriage Family and Child Counseling from Pepperdine University in Los Angeles and a doctoral degree from United States International University in San Diego. He gained experience at both the Wright Institute for two years where he conducted psychodynamic oriented psychotherapy with individual adults, and at a number of Community Mental Health Centers, where he worked with children and families. One such Community Mental Health Center was Glen Roberts Child Study Center, where Dr. Peters was Senior Psychologist and taught classes on adolescence and children while supervising interns. Dr. Peters was also the former Clinical Director of Foothills School, an innovative treatment program for troubled children and adolescents. Dr. Peters views each client as a unique individual that has their own set of struggles and their own set of strengths. He helps individuals to work through their struggles by also helping them to further develop their own internal and external resources and strengths. He primarily sees psychotherapy as a collaborative and creative dialogue, between client and therapist. 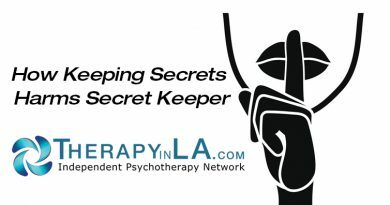 He is equally comfortable in working from a brief psychotherapy model, to help individuals gain relief from their symptoms, or in doing longer-term therapy, in helping individuals to gain more extensive insights and make character changes. He integrates a traditional approach, such as psychodynamic therapy, assertion training, interactive guided imagery, anger management techniques, role-playing and family therapy (in working with children and families) along with novel, cutting edge approaches, such as EMDR (Eye Movement Desensitization and Reprocessing) and Somatic Therapy. EMDR and Somatic Therapy are especially useful approaches in the resolution of traumatic issues. He helps individuals (both children and adults) to become more assertive, deal effectively with issues of anger, manage stressful situations, gain more affect regulation and deal more successfully with conflict in their relationships. In all of this, Dr. Peters never forgets the therapeutic values that he has learned on his own journey, the importance of empathic understanding and the movement of growth that can be released through direct therapeutic feedback and full emotional expression.